Somerset, 1836, and baby Hope is cast out from a world of privilege as living proof of her mother's adultery...Smuggled away from the Harveys and Briargate House to a nearby village, Hope grows up in the arms of the warm and loving Renton family, unaware of her true identity. But fate has harsh plans for Hope and a chain of events sees her forced to lead a vagabond's existence until she finds the courage to fight back and prove herself a fearless and able nurse, a vocation that takes her to the horrific battlefields of the Crimea. 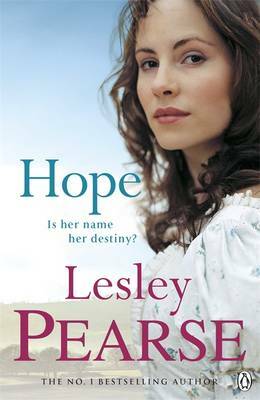 But the secrets of the past are not yet done with Hope Renton and she must return to England to face the legacy of her birth...With the storytelling magic that has won Lesley Pearse millions of fans, "Hope" is the portrait of a remarkable woman who will never let the world - or injustice - bring her down.